It's that time of year -- time to tidy up any musical meanderings and commit to your "year end lists," your top choices for the best music of 2005. In a year blasted open by Mother Nature, a force that eventually threatened to wash away the sacred musical ground of New Orleans -- "The Big Easy" -- where the grooves run as deep as the mighty Mississippi River, 2005 was anything but predictable. The music scene this year was filled with the transgendered warbling of a Manhattan Diva known as Antony and legions of bearded boys running through Narnia with acoustic guitars. It was also the year that "indie" finally made it into the mainstream; when Live Aid crossed the threshold to invest in the political capital of a G8 Summit. The world watched gobsmacked as Bono spoke with U.S. President George Bush about God and Sir Bob Geldof sold himself to the British Conservative Party as an adviser on world poverty. It was also the year that saw Sony/BMG music go after unsuspecting customers in a reckless attempt to curb pirating. "RootKit" is the name 2005 gave to this new corporate virus and for a moment it threatened to be as nasty as a government wiretap on the end of your receiver. Still, for all its wonder, music hasn't cured the world's ills. In the 25th year after the assassination of John Lennon, the imagining still continues, and so too does the war. But as Devendra Banhart sings on "Heard Somebody Say" -- "It's simple, we don't wanna kill." So, amid all the year's events, 10 albums rose to the top. Below are my picks for the best music of 2005. 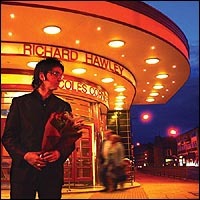 10) Richard Hawley -- Coles Corner: This gorgeous jewel of melancholy pop is in the continental traditional of Jacques Brel and Leonard Cohen. Hawley, once a guitarist with fellow Sheffielders, Pulp, adds omnichord, baby glock and Hawaiian lap steel to the mix to create a classic 60s sound free from any ironic posturing. Seductive and serene. 9) The Wolf Parade -- Apologies to the Queen Mary: Following in the tradition of last year's Canadian indie darlings The Arcade Fire, this album propels itself forward by relying on raw vocals and glorious Technicolor organ blasts. Produced by Modest Mouse's Isaac Brock, this was the year's best debut. 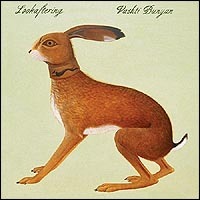 8) Vashti Bunyan -- Lookaftering: After a hiatus of 35 years, Vashti returned in 2005 to deliver the same bucolic odes that have made her a legend among the likes of Joanna Newsom and Devendra Banhart. More flutes and whispering lamentations from the godmother of the so-called "freak-folk" sound. 7) Rachid Taha -- Teketoi: This Algerian born citizen of France has been around for years plying his unique brand of rai flavored rock. "Tekitoi," French slang for "Who Are You?" has Taha collaborating with Brian Eno and gives us "Rock El Casbah," his much overdue take on the Clash classic. 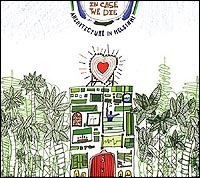 6) Architecture in Helsinki -- In Case We Die: More twee and fey than a box full of "Hello Kitty" dolls, this Melbourne based collective revealed a panache for pop-stylings in the same vein as uber-composer Brian Wilson. From "Do The Whirlwind" to "The Cemetary," they never failed to go giddy with pogo-ing leaps of joy. 5) Ryan Adams & The Cardinals -- Cold Roses: With 3 separate releases in 2005, Adams made the strongest bid for artist of the year. Cold Roses, a tribute in part to Jerry Garcia and the Grateful Dead, is a double CD of Americana that had Adams returning to what he has always done best -- bloodshot, bruised country pop, shot through with pedal steel and amazing hooks. 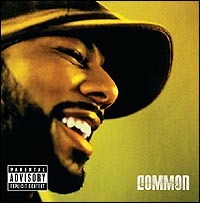 4) Common -- Be: Better than Kanye's 2005 let down, but still chock-full with his signature production fills. Some say Common whitened down to appeal to a larger audience with this more accessible release than 2003's Electric Circus. But with songs "Testify" and "The Corner," Common proved he didn't need to make any compromises to be himself. 3) Devendra Banhart -- Cripple Crow: Vacuous, hippy platitudes or joyous tomes of uninhibited bliss? Undoubtedly the latter, as Banhart stretched out beyond the half-sketched doodles of previous work and rose to deliver this refined, folk-rock opus. While Spanish vied at times with English as the album's lingua franca, Banhart sang with one voice on the sublime "Korean Dogwood" and the silly "Chinese Children." 2) M.I.A. -- Arular: With a refreshing sparkle in her eye, Maya Arulpragasam brought the militia to deliver this righteous blast of grime. On "Pull Up The People" it was hard to decide to dance, riot or surrender to both. As with many other releases in 2005, there was nothing quite like it -- its strength lies in its ability to bring the party to the revolution. 1) Antony and the Johnsons -- I Am a Bird Now: Simply the standout in a very fragmented and diversified year in music. Antony invites 80s icon Boy George and Canadian dandy Rufus Wainwright to add vocal flourishes to the torch ballads "You Are My Sister" and "What Can I Do," respectively, while Antony brings it all home on the gritty Stax inspired "Fistful of Love." The year's best because it extended the hope of transcending differences at a time when fears of "the other" were sinking expectations everywhere.